We are a leading Exporter of brake liner from Ahmedabad, India. 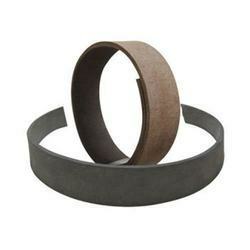 We are among the leading names in the industry for supplying and trading Brake Liner. The offered product has been widely appreciated for its high quality and durability. It is used for providing insulation in furnaces, chimneys and pumps of electrical, pharmaceutical and petroleum industries. This brake liner is available at cost-effective prices as well. Looking for Brake Liner ?